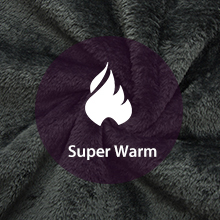 Warm Fabric: Professional water repellent coated, a fleece liner and soft comfortable hand feeling and durable fabric with 2400g cotton padding which guarantees the best heat retention. Windproof: 1)Adjustable cuffs, the stretchable glove with thumb hole help seal in warmth. 2)Inside windproof snap powder skirt, internal drawcord hem, and adjustable storm hood help to keep the wind out. 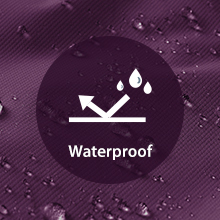 3)Wear resisting soft and front-zip shell is highly wind resistant. 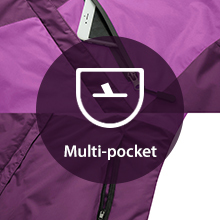 Multi Pockets: 1)2 hand zippered pockets and 1 cross pocket (passport or cards stowed)with waterproof zippers. 2)Dual internal pockets, 1 internal secure media pocket, 1 zippered pocket. 3)An earphone line fastening and supporting fixture available inside the jacket. 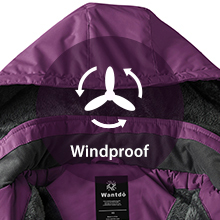 Best use: The jacket can handle inclement weather easily, such as heavy fog, rain or snow day. It's best for downhill skiing, snowboarding, snowsports, mountaineering, hiking, journey, and the jacket with an adjustable hood is also best for other winter outdoor sports or various occasions. We've used the professional waterproof and insulated technology to this classic winter ski jacket.The technical outer shell is waterproof, windproof and breathable. The hood can be adjusted to get the right fit and protection in inclement weather.The multiple zippered pockets can protect your personal items better.The fleece lined ski jacket will keep your body warm in cold weather. Dear friend, I check it for you. There are 2 left in our Amazon warehouse, you can order it now, and I will ship it from our Amazon warehouse.